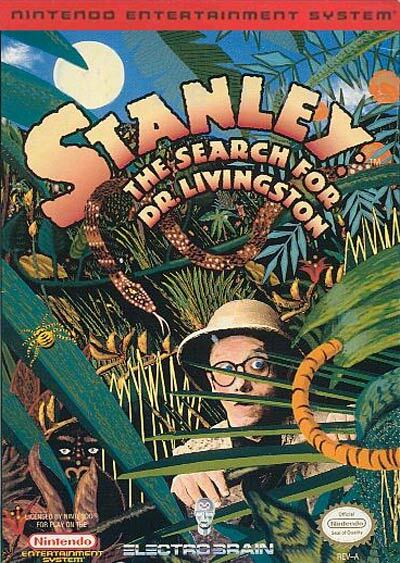 The absent-minded Dr. Livingston is lost in the jungle, and it's up to you to find him and the ancient temple of Am-Zutuk. You'll journey deep into the heart of the Congo, searching for any clues that might lead you to your old friend. The trek will take you beneath the Earth's surface and over the tallest mountains, challenging you with some of the most treacherous terrain ever seen. You'll come up against enormous spiders, deadly natives, and spooky specters. Only some ancient armor is about all you have in the way of weaponry. Boasting hundreds of action-packed levels, STANLEY: The Search for Dr. Livingston allows you to save your games with the use of a password. Hundreds of levels; deadly enemies; ancient armor; challenging puzzles; cool graphics.